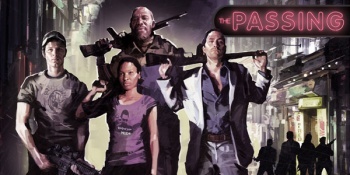 The upcoming The Passing DLC for Left 4 Dead 2 might only feature three original L4D Survivors, but it'll make up for that with more gameplay modes. Yes, plural. There's been quite a hubbub surrounding the upcoming DLC planned for Valve's zombie-killing Left 4 Dead 2, first around the initial news that it would be a crossover with Left 4 Dead 1, and then with the news that one of the original Survivors would be kicking the bucket. There's some interesting information there: Unsurprisingly, The Passing will introduce a new melee weapon (the golf club) and a new gun (the M60 - I'm assuming they mean the machine gun? ), but it will also introduce "a wicked Witch bride," "the fallen Survivor," and "new Game Modes" - with emphasis on the plural. That's all very intriguing. Who's marrying a Witch? Will the slain L4D Survivor return as an Infected? And what new gameplay modes could there possibly be - Capture the Cure, perhaps? We'll find out soon enough, but it's fun to speculate.